ACDI's internship program is designed to expose interns to a wide range of experts, topics and tasks within climate change and development research to help them prepare for the next stages in their careers. Interns are expected to make meaningful contributions to ACDI’s ongoing operations and research, in line with their interests, disciplinary background and experience. The internships are especially beneficial for graduates who are considering a career in research – whether you are considering further study, or are interested in areas of work related to research such as project management, fundraising or communications. Paid positions are advertised on the website and via the newsletter. Sign-up to our newsletter to receive notices. International and local students can self-fund an internship at ACDI as part of a study program or for work experience in the sector (i.e. cover your own accommodation and living expenses). A limited number of small grants to support travel are available for local graduates, on application. Currently, ACDI has no placements available for the first half of 2019 (Jan - June). Please watch this space from March 2019 to see available placements for the second half of the year. The DST-NRF Internship Programme offers unemployed Science, Engineering and Technology (SET) graduates and postgraduates (including those in Social Sciences and Humanities) an opportunity to acquire practical work experience through mentoring and exposure to a research environment. Each year UCT hosts DST-NRF interns across several departments. South African undergraduates in their final year, Honours students and Masters students in their final year who are interested in interning at the ACDI or in other UCT departments are encouraged to apply to the DST-NRF internship program when it opens around November each year. 4. To intern or not to intern? 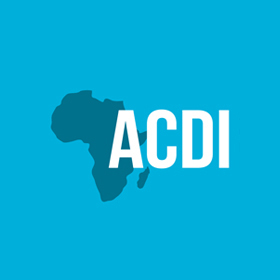 Our 2016 interns reflect on their experiences at the ACDI and give some helpful career advice in these blogs by Andrew Hall, Makeya Karlie and Luleka Dlamini.